Ashton Aged Maduro #50 delivers unique maduro character in a traditional 7 x 48 Churchill vitola. 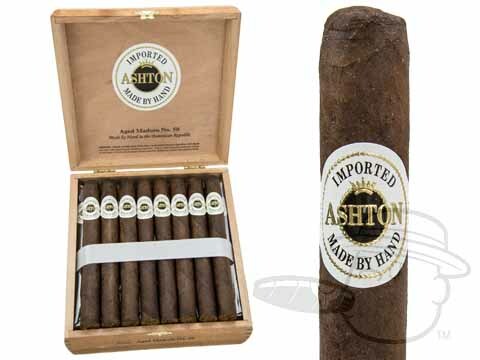 Get the greatest value on Ashton Aged Maduro #50 with this special 2-Box Deal! I've loved Ashton Aged Maduros for 20+ years. It's the treat, I give myself that never disappoints. Great construction, smooth draw and burn with a nice smoke that my wife doesn't mind. Ashton Aged Maduro #50 is rated 4.1 out of 5 based on 4 customer ratings.